How do you make a kiss unbreakable (and win at Cannes, The Clios, and The One Show)? Like this. Here's the unbreakable kiss of me and my wife. This is a proposal landmark. 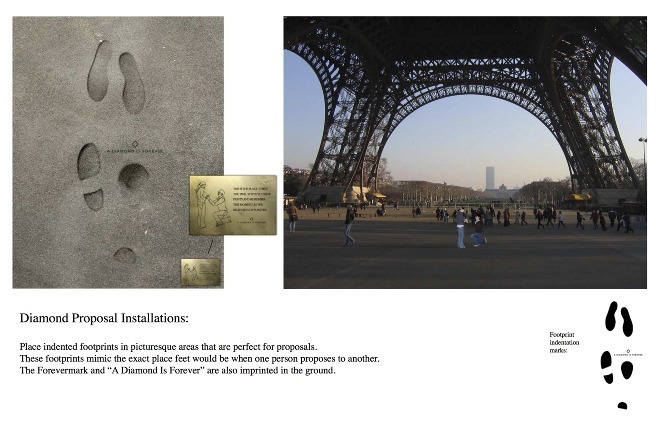 Romantic spots all around the world with exact positions in the cement for a couple to experience their penultimate moment.